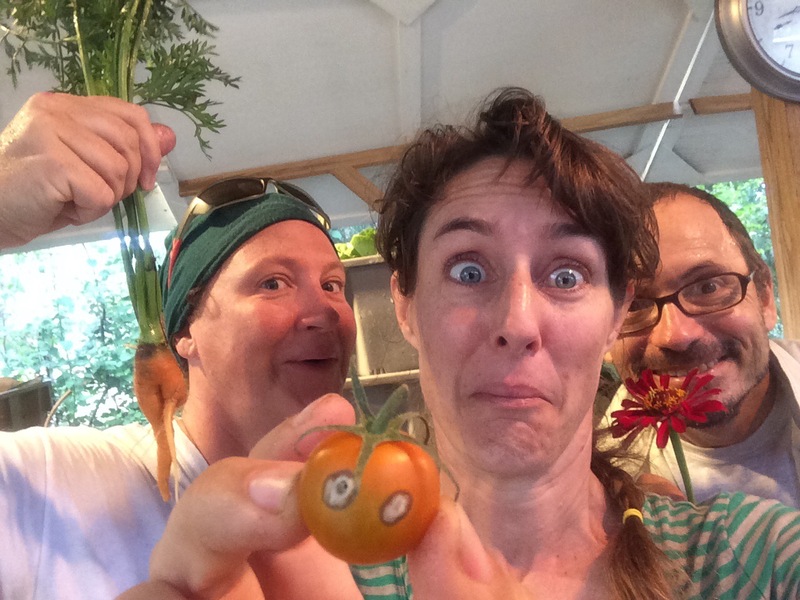 ARTfarm TOMATOES Wednesday 3–6 p.m.
Come on by and see us this afternoon! Farmer Luca has for you: Sweet salad mix, arugula, spicy salad mix, lots of red slicer tomatoes, some cherry tomatoes, a little bit of kale, summer squash, a few cucumbers and green bell peppers. Lots of figs(!!! ), Italian basil, cilantro, dill, garlic chives, hot green serrano peppers, some passionfruit, and lots of fresh cut zinnia flowers. The season may be a short one for us this year due to the lack of substantial rainfall, so get it while the getting is good. Sometimes one of the cherry tomatoes has “crazy eyes”. We are located on the south shore of St. Croix between Hapenny beach and the Boy Scout camp. See you this afternoon! Thank you so much for your support.